Tim McMillan is a media professional with a wealth of experience across the television, radio and digital platforms. Tim anchored Nine Perth's weeknight news for five years and also launched Perth's first live and local morning bulletins, Today Perth News. 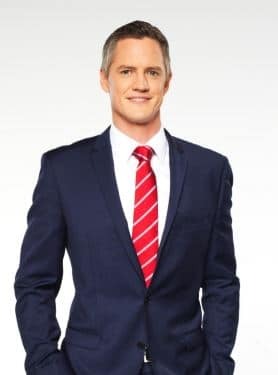 Prior to joining Nine News Perth in 2013, Tim was a reporter for ABC Radio in Perth and Melbourne, and at Nine News in Melbourne and Sydney. During that time, he covered major stories including the final Azaria Chamberlain inquest, the Beaconsfield Mine inquest, Black Saturday bushfires, the underworld trials of high profile gangland figures, Schappelle Corby's release from Bali's Kerobokan prison and numerous state and federal elections. Tim also anchored national morning and afternoon news bulletins and regularly filled in as host of the Today Show. His qualifications include a Bachelor of Science (UWA) and a degree in Broadcasting (WAAPA). His investigative journalism has been recognised with two prestigious Quill Awards for Best Television News Report in 2009 and 2011. Tim is an experienced MC and facilitator and is currently working in radio and on several new media projects. Tim has conducted thousands of interviews during his time in broadcasting – from Prime Ministers, sports stars and corporate executives to people facing a camera or microphone for the first time. He can prepare you for any style of interview, whether it's an ambush-style grilling on live tv, press conference or pre-recorded interview for a feature piece. Facing the media can be a daunting experience. Tim can tailor your training sessions to meet your specific needs, equipping you with the skills you need to deliver your message with clarity and confidence. We offer bespoke half- or full-day sessions for individuals or groups. Sessions cover all the tools you need to handle print, radio or television interviews confidently. Radio and TV recordings are reviewed and lessons applied. Over the past fifteen years we've worked with the biggest organisations in the world, delivering the highest-quality and most-time-relevant training available. Every course, every session is different and customised to meet the objectives and needs of the individual or group. Personally I was finding the expansion into television from radio difficult but some simple tips from Tim has completely changed that to the point where I now feel almost as comfortable in front of the camera as I do the microphone. From what to wear to how to prepare and all things in between. Jason Featherby, Director, Knight Financial Advisors.